After receiving plethora of compliments for Samsung Galaxy S3, the Korean tech giant is now rumored to be working on a mini version of the most popular smartphone of the world. At the same time, Samsung is also speculated to be prepping variant of Galaxy S2 – which is Galaxy S2 Plus – as a step to take on the iPhone 4S, which is believed to get a price drop after iPhone 5 is released. According to Sam Mobile reports, these two devices are scheduled to hit in late 2012, however, the report is still a rumor as Samsung has not revealed any information about the devices as a proof of their existence. The Galaxy S3 Mini is expected to sport a 4 inch WVGA Super AMOLED display, a dual core processor and 5 MP camera. On the other hand, when it comes to the rumored specifications of the Galaxy S2 Plus, there are no details revealed yet. The above mentioned specifications make some sense as the Galaxy S2 Plus is rumored to be $100 (approx. Rs 5,500) to $150 (approx. Rs 8,000) more than the Galaxy S3 Mini. Galaxy S3 Mini is likely to be priced at $200 (approx. 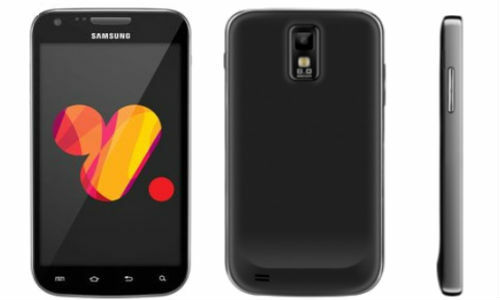 Rs 11,000) while the Galaxy S2 Plus will be priced between $250 to $350 (approx. Rs 14,000 to Rs 20,000). Analysts assume that the Galaxy S3 Mini and Galaxy S2 Plus smartphones will be released into the market in the last quarter of 2012, before the holiday season, as an attempt to boost its sales. However, this is only a rumor and there is no evidence that the Korean manufacturer is prepping these two smartphones. Moreover, Samsung is quite busy in marketing the Galaxy Note 2 tablet, which is slotted to be unveiled at the pre-IFA event on August 29,2012 in Berlin.